What is Credit Score? How to Check & Improve Your Credit Score? There is a high chance that your loan will be rejected if your credit score is not more than 700! What is this credit score, how you get this, what factors affect your credit score & how to improve your credit score? In this article we talk everything about the credit score. We conclude the article by giving some tips and ways to check your credit score for free. In simpler words credit score is just like grades. It is a three digit number that tells how good or bad your credit score is. Your credit score could be between 300 and 850 depending upon how good you are when it comes to paying debt. Different lenders or banks calculate credit score depending upon various factors. We shall debate about this in great details in coming paragraphs. If you have just acquired your new credit then make sure that you pay all your debt on time. Keep your spending low so you do not keep borrowing money from the bank and increase your debt. Why It is Important to Have a Good Credit Score? I do not think you need to know this. But if you are new then you must know the importance of good credit score. As I said earlier good credit score is anything above 700. A good credit score will decide your financial success. If you want loans for home, car or starting a new business then your credit score must be impressive. Otherwise lenders and banks are not going to lend you any money. 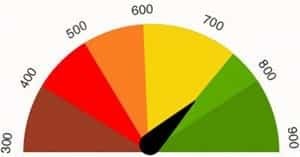 So if you are serious about loans and borrowing money then keep in mind that your credit score must be above 700 points. You can’t be frivolous here. How Credit Score is Calculated? Calculating credit score involves many things and different banks do it in different ways. However the fundamentals are similar. Your lender or bank would take following variables in consideration before he calculates your credit score. Payment History: Payment history is the number one variable that affects your credit score. It constitutes for 35%. Payment history will cover everything like you make payments on time or not, how often did you miss your debt servicing, days past the due days for paying bills etc. So if you repay your debt on time, it will add to your credit score. Amount You Owed: How much money you owe is the 2nd biggest factor in deciding your credit score. How much is your total credit & how much loan you have taken as compare to your score. If you have used less credit & making regular payments then it will be good. Length of Credit History: Your credit history is the third factor and it accounts for 15%. How long have you been using your credit & how regular payment history do you have? Types of Credit: Different types of accounts also determine your credit score. It makes up for the 10%. A mix bag is really great for high credit score. So your credit accounts could be for home loans, instalment loans, auto loans, credit cards, retail etc. New Credit: It tells the recent credit activity. It accounts for 10%. If you have too many accounts opened then you will have low credit score. But if you pay loans regularly for loans you took way back then your credit score is expected to rise. How to Scale Credit Score? 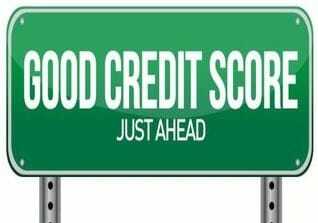 Scaling or rating credit score means what points do you give so a credit score is called good, average or poor. As I said the credit score is just like your grades A, B, C etc and different lenders have different parameter to measure credit score. Usually a bank will rate a credit score from 301 points to 850. Usually people have average credit score but most of them are in poor or bad category. Very few have good and excellent credit score. You can check your credit score for free online. There are various credit reporting agencies that helps you to know your credit score for free. In fact in US the law mandates that the consumer has a right to a free credit report annually. Although there are many credit rating agencies but here we are mentioning five of them. You must remember some are free and some do charge a fee but it is like $2 or $4. 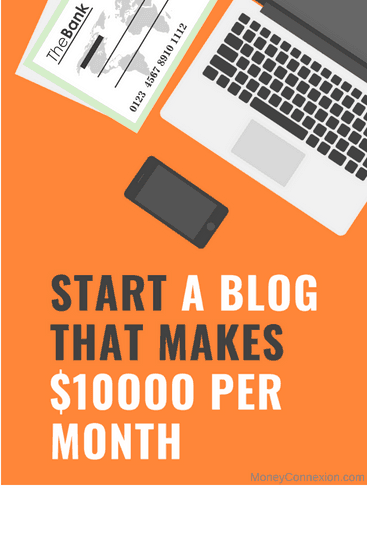 I will end this article by giving your some tips how you can improve your credit score. If you are bad then you can become average and if you are average then you can become good. Here are some handy tips. Always pay your loans, bills, debt on time. This is no rocket science. Do not go over your credit limit. If you are using credit card, then read these important tips. Always have mix of accounts like home loan, car loan, retail etc. Do not go for a new loan unless you have paid previous one. You can become an authorized user. So these were few tips to increase your credit score easily. Are you applying for a new loan? Have you ever faced a loan rejection because of low credit score? Share your experiences through comments! Knowing your credit is very important.